Two-thirds of people questioned in Southampton, for one of the largest cycling surveys in the UK, say they are taking to their bikes more frequently than they were three years ago. The research conducted by the University of Southampton for Southampton City Council revealed keeping healthy and enjoyment are the main reasons for them riding their bikes more, but also showed that one-third of those who’ve increased their cycling are doing so because of rising fuel prices. The survey is one of the biggest of its’ kind in the UK with over 1,300 people returning questionnaires and mapping their routes. Staff, students and volunteers from the local community helped distribute 3,700 survey packs to cyclists at key points on the city’s cycle network. Dr Julia Branson of the University’s GeoData Institute says, “The survey data not only shows us the routes people are using in Southampton and at what volume, but also people’s habits and opinions in relation to cycling. This will help the city council to develop its cycle strategy for the future. People also highlighted ‘drivers not paying attention’ as their main concern, and most thought more off-road cycle paths were important to increase safety. They also wanted to see more secure cycle storage, particularly in the city centre. 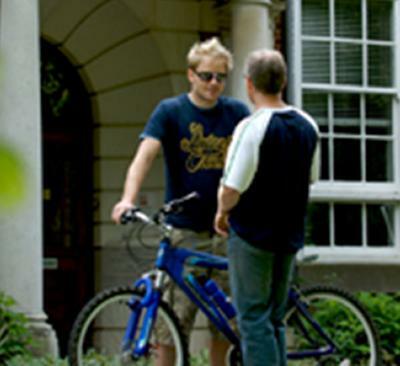 The survey was carried out for Southampton City Council which is developing its Cycle Strategy. It undertakes a detailed assessment of cycle usage and problem hotspots in support of the city’s Local and Sustainable Transport Fund. Frank Baxter, Travel and Transport Manager at Southampton City Council, says, “Cycle use is increasing in the city and we want to encourage it. This research has provided us with a really useful insight into what cyclists want and need. We are now using it to plan new high quality cycle routes and other facilities. The survey has let us know where cyclists feel most vulnerable on the road and we will also be looking at how we can make these locations safer”. Survey forms were distributed to cyclists at 61 sites between 0730 and 1030 on Tuesday 18 October 2011. They were given a pack which contained a questionnaire and a map to mark their route, any accident sites and points of concern. This was limited to the Southampton city boundary, but those who started their journey outside this area were asked to indicate where they entered it and the postcode of the start of their journey.